“Momento Mori: Our Oceans in Crisis”. Memento Mori is the Medieval Latin theory and practice of reflection on mortality. This installation creates space to make visible what is invisible. To question: What are we willing to “see” and acknowledge? Do we veil ourselves to mask feelings of despair around the truth of a changing world including climate change and species extinction? Do we have the courage to bear witness to the beauty of our world, to break open our hearts for what we are losing, and be inspired to take actions to protect life on earth? Much of what is now threatened by the ecological crisis isn’t visible to the human eye such as plankton, microscopic organisms that float on the surface of our oceans. Plankton comes from the Greek planktos meaning wandering or drifting. The neon-colored phytoplankton are responsible for half of the carbon dioxide that is naturally removed from the atmosphere. As well as being vital to climate control, phytoplankton produces as much oxygen as all the forests and terrestrial plants combined. However, some scientists argue that we have lost 40% over the past 60 years. What now? New research also illustrates the staggering amount of plastic being ingested by zooplankton, the foundation of our marine food chain. On average, we are losing 200 species per day. Our grief is born of love and by allowing ourselves to feel our despair, we also discover gratitude for the miracle of life. With this exhibit, we are able to “see” that our very existence is intricately linked to the health of plankton and our oceans, both of which are currently under stress from our current way of life. Seeing the fragile beauty of these organisms, we recognize our innate interconnectedness in the web of life and respond with actions to slow the damage. 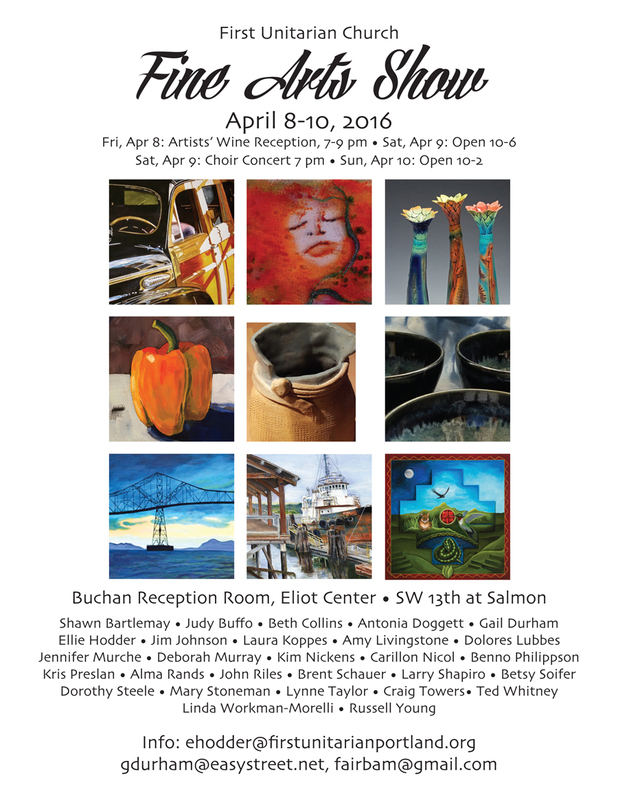 Wine reception with the artists on Friday night, 7-9pm. Show continues through the weekend. Saturday, 10-6pm and Sunday, 10-2pm. 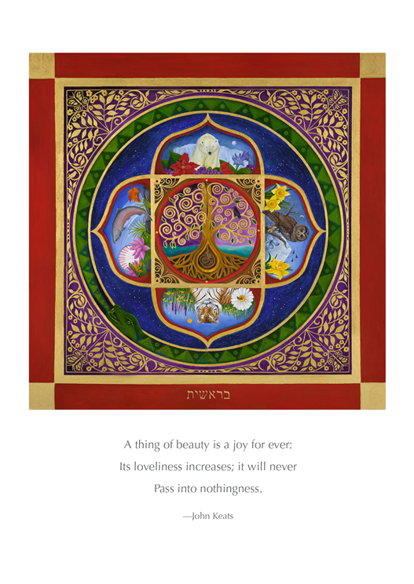 I will have several original paintings including “Munay Pachamama” shown here in the lower right hand corner of the promo flyer, new limited edition giclee (fine art) prints, devotional posters, and note cards for sale. I will also have a selection of items of the “Creation Illumination,” shown below, to help raise funds for organizations working to protect endangered species. From my morning reading. Spring blessings. 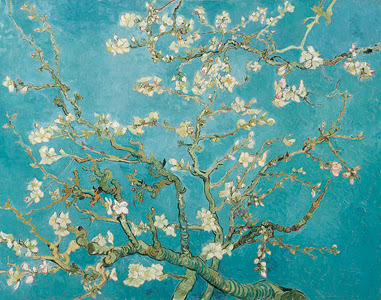 The almond trees in bloom: all we can accomplish here is to ever know ourselves in our earthly appearance. I endlessly marvel at you, blissful ones—at your demeanor, the way you bear your vanishing adornment with timeless purpose. Ah, to understand how to bloom: then would the heart be carried beyond all milder dangers, to be consoled in the great one.